It’s cold and flu season. I hope your household has been spared, here we have been sick off and on for weeks. One of my favorite ways to relax (or attempt to relax) when I’m sick is with a hot cup of tea. It warms me and helps clear my sinuses. A simple bag of tea can really lift my spirits, it also makes a sweet gift or a kind gesture to someone who is fighting a cold. I whipped up a couple Tea Bag Folder Gifts with a piece of card stock and a few decortations. These folders are nice to include in a get well package or even a card. 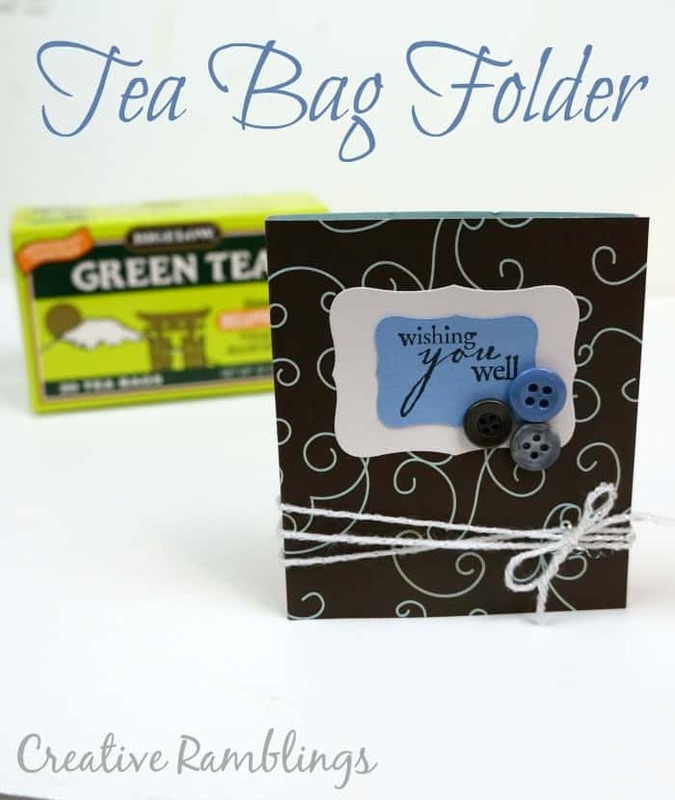 Take a look at how I quickly and easily created a Tea Bag Folder Gift below. Like what you see, I’d love for you to subscribe to my channel below. Take a moment and put together a little something for a sick friend or neighbor, maybe this will perk them up a bit. How do you relax when you are sick? Very cute! I am venturing into the YouTube channel thing too! Love this! It’s definitely that time of year, fighting one myself. Thanks for sharing! So nice! What a creative and thoughtful gift. I would definitely make these for my friends and families. I love your ideas, Sarah. The tea bag folder is so simple and yet adds such a warm touch to a get well greeting. Anyone would feel better to get one of these in the mail. Thanks! Super cute and creative ideas. I would love to receive something like this. Found you on the #SoMe2 link up – just pinned! Love this idea ~ have a great day!